Why does this game look so different? Hi, guys and girls! I am in love with the Dolphin Emulator. Love playing all the fantastic games. Anyways, on the Dolphin Emulator Website Homepage, there is a picture of this: https://dolphin-emu.org/m/user/cache/ca/76/ca76e3bd3d43a5aed2d512ac6f2e0ae4.jpg . 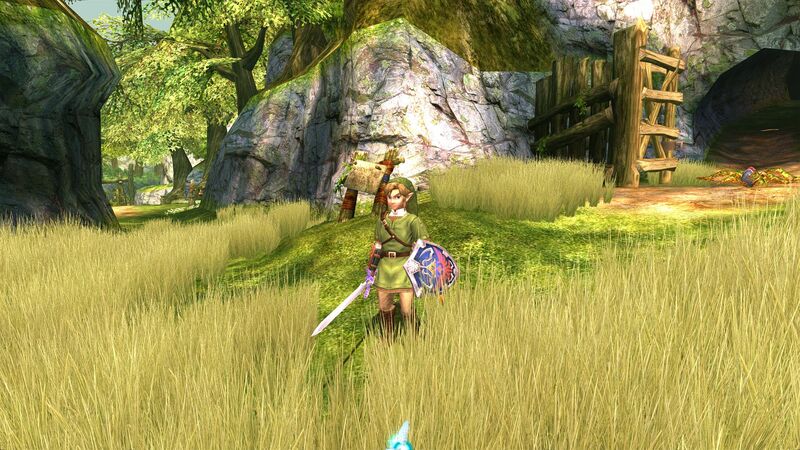 It is a picture of Twilight Princess (which I also have on Dolphin). Anyways, the resolution is clearly higher than the original Twilight Princess and the colors also look better (Link's Tunic and grass aren't as dull green as the original). The textures look better as well (stone in the background and the wood from the gate). Does anyone know why this game looks better than the original Twilight Princess. And if so, how does one make their game look like the one in the picture? Thanks for your support guys. Running the game on an HD resolution, and using HD texture packs for that specific game. It uses a Texture Pack and higher internal resolution than the Wii can render. If you go into the HD Texture section, you can find the texture pack used in that screenshot. (06-12-2014, 10:00 AM)JMC47 Wrote: It uses a Texture Pack and higher internal resolution than the Wii can render. If you go into the HD Texture section, you can find the texture pack used in that screenshot. Thanks, but the game is not bright and colorful like the picture. We'd have to ask the exact settings of the person who took the screenshot as for how to reproduce it. You can mess around with settings specifically in enhancements to see what you can do, and perhaps enable Post Processing Shaders to get a more desired look. You can pump up the "bloom-effect" with it, as well as color saturation.